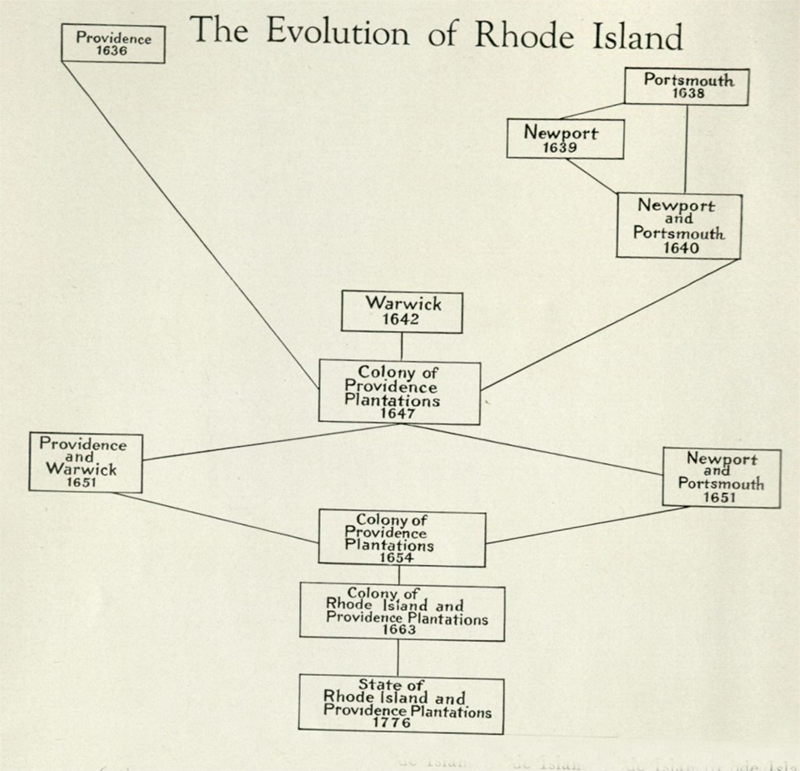 The first settlement in Rhode Island was made at Providence by Roger Williams in 1636, the second was made at Portsmouth by William Coddington and his associates in 1638, the third at Newport by Coddington and seceders from Portsmouth in 1639, the two island settlements uniting in 1640 under a single government. The fourth settlement was made at Warwick by Samuel Gorton and his friends in 1642. The four settlements united under a patent granted 1643-44 to form the Colony of Providence Plantations. The first General Assembly on record is May 19, 1647. When in 1651 Coddington obtained a commission appointing him Governor for life of the Islands of Rhode Island and Conanicut, the infant colony was disrupted, the two islands being governed by Governor Coddington while the mainland, Providence and Warwick, continued as the Colony of Providence Plantations but with the revocation of Coddington's commission in 1654 the colony was reunited. The patent of Providence Plantations was superseded in 1663 by a charter granted by King Charles II whereby these settlements were incorporated as "the Governor and Company of the English Collonie of Rhode Island and Providence Plantations in New England in America."